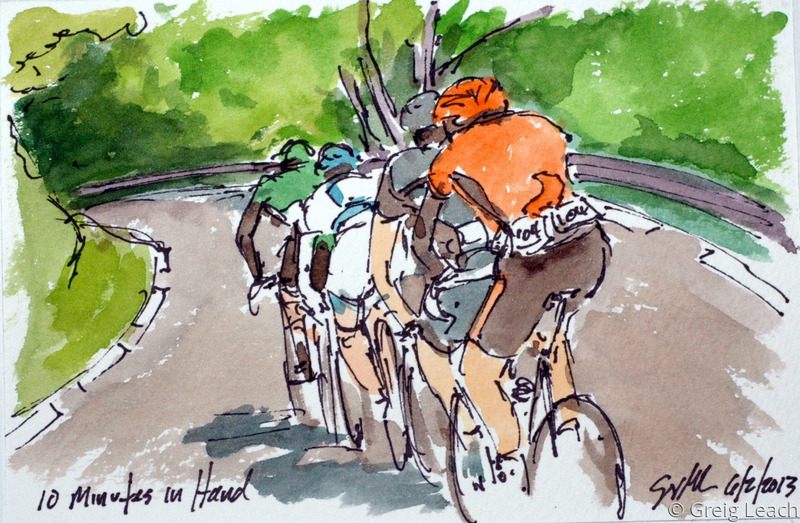 This is the first of my paintings of the Criterium du Dauphine, and this, of course, is the break away of the day. As in most every stage of the Giro, a small group of riders jumped away from the peloton almost as soon as the racing began. The group of four is made up of Veilleux of Europcar, Damuseau of Argos-Shimano, Bideau of Team Bretagne and Ambroa of Euskatdel/Euskadi. The break got over ten minutes on the peloton before it realized that no one yet had the yellow jersey.